Home Amazon Deals Organic Extra Virgin Coconut Oil for just $10.99! Organic Extra Virgin Coconut Oil for just $10.99! Love coconut oil? Don’t miss this GREAT price! 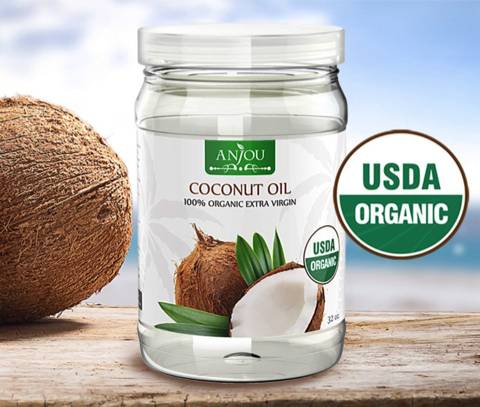 Amazon has this Anjou Organic Extra Virgin Coconut Oil for just $10.99 when you use coupon code KGZ7FXTG at checkout. This is a GREAT price on a 32-ounce jar of coconut oil! Valid through April 19th, while supplies last. « Quaker Overnight Oats, Variety Pack (12 count) only $12.95 shipped! Next articleQuaker Overnight Oats, Variety Pack (12 count) only $12.95 shipped! Amazon: Free shipping for ALL customers extended through the end of January!! Orbit Wintermint Sugarfree Gum, 12 packs only $6.85 shipped! Disney Frozen My Busy Book Board Book only $7.35!